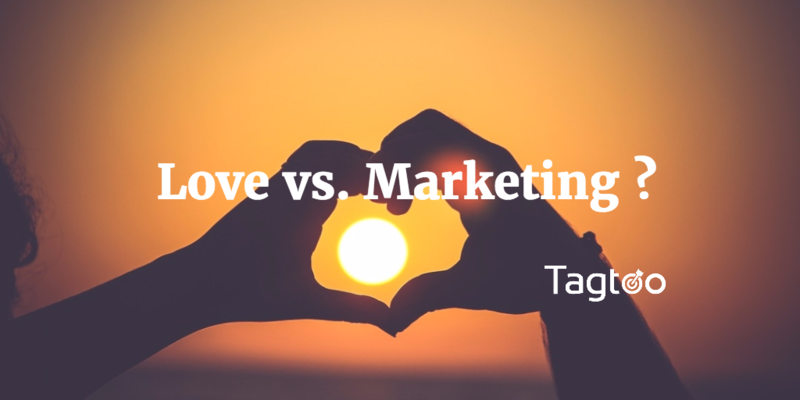 How does digital marketing strategy enable you to find a true love? Building a relationship is never easy. But there is a way to accelerate the process. Looking for the Mr/Ms. Right is hard. The complicated process requires favorable climatic geographical and, the most importantly, human conditions. The process also takes a series of stages. To the vast majority, it seems that one can only meet the aforementioned by praying for God and relying on the sheer luck. Full funnel marketing, on the other hand, is easy to understand and carry out. The new and rising digital marketing strategy simplifies the way to accomplish a sustainable ad campaign and segment the process into different part of the funnel, providing a clear directional guidance. At first glance, they are seemingly unrelated. But, they may spark off the best match when meeting each other. More precisely, the implementation of full funnel marketing might be able to help accelerate the lengthy process of building a relationship. The necessities one must know before jumping into the process are to have a realistic plan and rational understanding. Setting up clear goals for different stages is the first priority and a must. For example, you would probably fail if you ask a girl out whom you haven’t spoken any words with. You should prioritize catching her attention in the first place rather than dating. The same theory is also similar to managing the digital ad campaign. It’s better to start with a CPM campaign to build up brand image and increase brand awareness when advertisers just start an ad campaign. It may sound unrealistic and unsophisticated if advertisers ask for CPA pricing model but the collected data has not accumulated to a level where system algorithm can effectively optimize. The second thing is to understand the very critical essence of two elements that lead to a viable ad campaign: ad score and bid strategy. Ad score, which has a high-degree relation with quality of creative, is a metric that allows advertisers to identify the overall audience’s acceptance. Only by improving the quality of the banner photo and the copy can ad campaigns deliver an impressive and persuasive message to viewers. Likewise, one should pay more attention to choose the right outfit and learn different ways of seeking in order to leave a great impression and stand out. Bid, the amount of money advertisers can afford to buy the placement, is equivalent to the time one willing to spend on each stage. Placing a bid at a relatively high price is definitely not the thing advertisers would like to see while they can not win the auction if the bidding price is not competitive at all. In other words, the key is to consider how much your commitment and resource is and stop if the prospect ahead is not favorable. The very first step in the strategy of full funnel marketing is to filter out the qualified lead or, more clearly, candidates. Feasible approaches include eliminating people who don’t fit your demographic profile, people who are already in relationships, not within your geographic area, and acceptable age range. The right audience will determines whether you can make it or not. Audience matters. Soon after acquiring the group of qualified candidates, the game just starts. The way of sending out your message is different in each stage. On the top of the funnel, these are usually broader messages that align with your values and beliefs, make them feel impressed, and quickly catch their interests. After all, the first impression counts. Notably, at the onset of the interaction with these qualified candidates, you should leave more space for them. Under no circumstance is focusing on your features and personal life a wise tactic. Instead, paying attention to their individual obstacles, desires, dreams, wants or fears can lead to more ongoing conversations. Meanwhile, you have the better chance to understand them more and figure out how to get closer to them. Congratulation to you if you have found the audience who are interested in interacting with you! Entering to this stage also means you are on the half way to get a conversion or, in my language, build a real relationship. Once they become homepage visitors, your entire goal is actually simple: getting your prospect interested enough to respond back. That is it. You will keep trying to impress and seeing what each other have in common. Just iterate until they are ready and become more serious with you. However, you should know what makes them tick before taking any practical action. While a sense of humor, most of the time, is one of the best ways to stay engaged, it doesn’t work every time. Neither does those cliched topics, such as pets or favorite books, would make them feel enjoyable in every conversation. There is no one-fits-all approach. Moreover, over-actively sending out messages is totally not a great way, nor is talking like a robot. On top of that, one fact that you should bear in mind is that we tend to go extremely formal when texting on social networks, which significantly reduces the emotional element that makes talk livelier. Of course, we have no issue of speaking in a causal tone when talking face to face. But this problem is becoming extremely frequent when the majority of our interactions happen in the virtual world. It is another big milestone if you turn homepage visitors to product visitors. Keep going! At this moment, they see you more like a friend rather than a stalker since this group of the audience knows who you are and respond well to your messages. Clearly, they have shown a strong interest in you and subconsciously want to go further a little, which creates an excellent opportunity to flirt with them and ask them out. In the practice of full funnel marketing, advertisers can deepen the relationship and accelerate the process by offering special giveaways or limited promotions. This approach is similar in love. Long walks at a leisure park, deep talks with mental exchanges, and home-made dinner are all the classical and adoptable means. Exciting as it may sound, this is, in fact, the make-it or break-it moment. Actually, there are many micro-stages behind. Initiate-checkout and add-to-cart, for example, are one of them. Nevertheless, it is because of this stage that makes it the most challenging. Anything wrong in that micro-stages can all become the last straw that breaks the camel's back. They may feel annoyed and lose interest rapidly once your intention is disclosed too obviously. Consequently, taking charge of the developing circumstances and controlling the tempo of the game is the key. Usually, this stage often repeats(in terminology, it refers as remarketing). Despite the fact that you might date multiple people at the same time or multiple people in your lifetime, it’s all part of the qualification process. It takes tremendous effort and time to close the deal. Finally, here comes the final stage when the deal is done. Yes, you make it! But, under no circumstance does it mean it comes to an end. Instead, it’s another start. A successful advertiser should always stay engaged, so should those who would like to build a real relationship. More specifically, a long-term relationship with either customers or your love all needs extra care and more energy to manage. After all, they know about your value and story than any one else and have higher tendency to make a purchase again. At full funnel marketing, we can not help identify who your true love is. What it can offer is to help you capture the necessary marketing metrics you need to be measuring through the entire sales cycle and, furthermore, tightly connect each different stages to become a consistent process. It is powerful in digital advertising, so is in building a relationship.